Givex operates in over 55 countries, having processed more than 16 billion transactions since 1999, across a wide array of industries. The Givex Platform provides the tools that drive customer engagement while also accelerating operational efficiency, through a merchant’s physical, online and mobile sales channels. 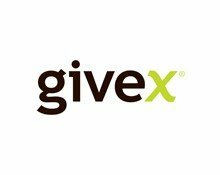 Using Givex, all these channels generate the valuable and actionable data, protected by the maximum PCI security standards, that is crucial to maintain a competitive advantage in today’s fast moving economy.